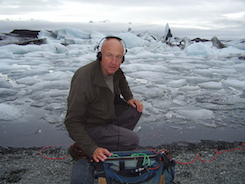 Chris Watson will describe and illustrate with sounds and images the journey he made to Antarctica and the South Pole as sound recordist for the BBC television series ‘Frozen Planet’ several years ago. This is a place described a century earlier by the film maker Herbert Ponting as the ‘Great White Silence’ when he filmed the ill fated journey of Captain Robert Falcon Scott’s polar expedition. 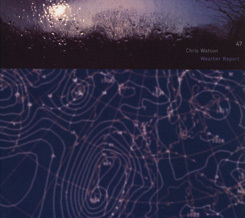 Watson will describe his experiences in discovering a sound rich environment under the surface of the ‘silence’. Background: Watson was a founding member of the influential Sheffield based experimental music group Cabaret Voltaire during the late 1970’s and early 1980’s. Since then he has developed a particular and passionate interest in recording the wildlife sounds of animals, habitats and atmospheres from around the world. As a freelance composer and sound recordist Watson specialises in creating spatial sound installations which feature a strong sense and spirit of place. His television work includes many programmes in the David Attenborough ‘Life’ series including ‘The Life of Birds’ which won a BAFTA Award for ‘Best Factual Sound’ in 1996, and as the location sound recordist on the BBC’s series ‘Frozen Planet’ which also won a BAFTA Award for ‘Best Factual Sound’ (2012). Watson has recorded and featured in many BBC Radio 4 productions including ‘The Wire’ which won him the Broadcasting Press Guild’s Broadcaster of The Year Award (2012). 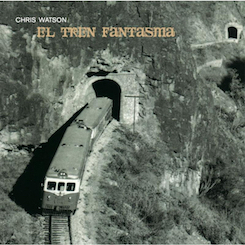 His music is regularly featured on the BBC Radio 3 programme ‘Late Junction’. In 2013 Watson received a Paul Hamlyn Composers Award. His installations have been commissioned by international galleries and festivals such as; Sheffield Millennium Gallery, Opera North in Leeds, The National Gallery, London, The Royal Opera House, Covent Garden, The Louvre, Paris and the Aichi Triennial in Japan. His albums are released by Touch. Attendance is free and everyone is welcome, but booking is required. If you have any queries please contact A.Foteinou@wlv.ac.uk.